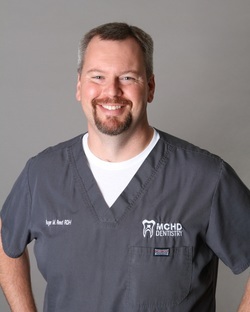 Roger Reed, RDH has been working as a dental hygienist in the Morgantown area since 1995. In 2000, he joined MCHD Dentistry . Roger is a 1991 graduate of Clay-Battelle High School and a 1995 graduate of West Virginia University with a Bachelor of Science Degree in Dental Hygiene. He and his wife, Monica, live in Wana, WV with their three boys, Brock, Briston and Colton. In his spare time, Roger enjoys spending time with his family, hunting and attending Mountaineer Sporting events.